Are you looking for a fun and memorable way to spend your evening? Enjoy the GPS Experience when you visit us at our LGBT entertainment center in Atlanta, GA. We are proud to provide you with the perfect venue to host or enjoy a number of events, including our exciting dinner theatre. As one of the premier LGBT event centers in the area, we are always looking for new ways to introduce new people to our venue. Enjoy a safe and welcoming space when you check out our LGBT wedding venue for your upcoming affair. We want you to have more than just dinner, do more than just sightseeing, and be a big part of the show. Whether you’re joining us for a big date or just for a night out with friends, we provide the perfect backdrop for your experience. Visit us for dinner theatre featuring exciting performances, delicious foods, and everything in between. Make the most important day of your life a memorable one when you host it at our LGBT wedding venue. Our spacious LGBT facility is designed perfectly to put your special day into focus. Weddings don’t all have to be traditional. Whether you have a chosen theme, or you are looking for something classy, count on us to guide you. No matter what your dream nuptials look like, we pay close attention to the details for your big day. Our wedding experts are here for you throughout the cake tasting, flower selection, and every other step in the process. For your convenience, you may use our photographer/videographer, use your own, or both to document your day. Want to show off a play, film, or performance you have been working on? Reach out to us about renting out or being featured in our LGBT entertainment center. Our center is the perfect space to film a wedding, movie, or music video. We are happy to tailor our space to fit the needs of your project. Contact us in Atlanta, Georgia, to learn more about our LGBT venue. We feature space for weddings and other events. 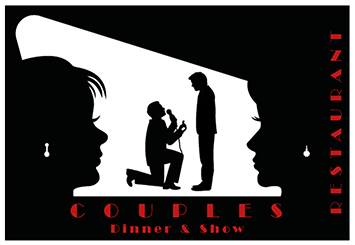 Couples, Dinner, Show & You! Couples, Dinner & Show is a unique dining experience, featuring the three F’s, Food, Friends & Fun! Food becomes romance if you’re in love! It also begins a budding friendship between two complete strangers. Did you know great food makes great conversation with your palate? Just after satisfying your appetite, we dish up a plate of fun with song and dance! We want you to have more than just dinner, do more than just sightsee and be a part of the show! Who knows you might have a new career coming to dine with us over and over again! Some might say, don’t believe the hype to anything that’s being promoted, a line being fed by haters. We are planning to hype you up! Our show is not Las Vegas so what’s done here can be shared with everyone you know! The plan is for you to leave hungering more! Now we know some of you are shy so you won’t be under pressure to clap your hands, move your hips, hum along, and shake your head to the rhythm of the night at a LGBT friendly event center in Atlanta! 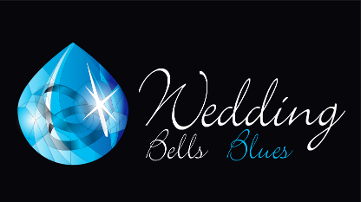 So why would you name your wedding planning division Wedding Bells Blues, it seems like an oxymoron. Marriage should be about being happy not blue. All baby boomers know where it comes from. In 1969 Billie Williams and Marilyn McCoo of the R & B singing group The 5th Dimension made a very big hit called Wedding Bell Blues. It was a very popular song to play at weddings! If you have a theme or even if you don’t have one in mind, working with our wedding experts, we can make your dreams come alive in our elegant LGBT Friendly Event Venue in Atlanta! Of course, there will be cake tasting, floral arrangements, the choosing china settings, napkins, table cloths, and centerpiece for the reception! And let’s not forget the rehearsal dinner! You may use our photographer/videographer, use your own or both. Weddings don’t all have to be traditional, just beautiful, the way you are! It’s important for us to pay close attention to details, crossing all the “t’s” and dotting all the “i’s”! Just like anything you plan, some things may be beyond our control. This possible setback does create an opportunity for creatively making things happen. It is our hope your experience with us is one of integrity! The Georgia film industry are always welcome guests! Our LGBT entertainment center in Atlanta is an excellent space to film a wedding in a movie or movie video! The ballrooms are beautiful halls for an elegant wedding reception or whatever the film cause for in spacing an upscale affair! Although it’s a huge space, in filming a scene(s) it can be scaled down through dividing walls. "Hello, one small coffee, please." Mr. Simms states "I decided because I need to solve all the injustices of the world to start charging more for people who didn't take the time to say hello and connect and realize we're all people behind the counter". 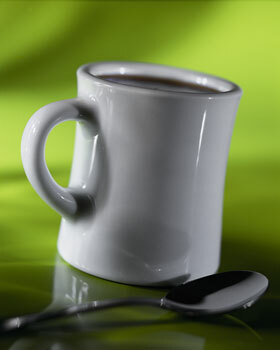 CUPS Coffee & Tea owner, Olivia Byrd did say the joke has gone over well with customers. She added no one has actually paid $5 for a cup of coffee and people are being more polite. Although, many of us coffee lovers may not get a chance to visit CUPS Coffee & Tea in Roanoke Virginia I think we can all give pause to our cell phones, morning wants before placing our order and first say meaningful words like “Good morning”, Hello” and/or please to all servers. The GPS Experience is about pleasing you! “Going Dutch – In a party of two or more, each person eating at a restaurant or paying admission for entertainment pays for himself or herself, rather than one person paying for everyone. It is also called a Dutch date or Dutch treat”. In the dating game, “Going Dutch” is economical, fair and should be done more often! Many of us who have dated have experienced the challenge of paying the total bill of a first date. Picture this, you’re finishing a date, the bill comes and your live date becomes a statue. He doesn’t make a move towards a wallet. When you initially met him, he said he wanted to meet up with you again. So you ask him to meet you at a particular time and a certain restaurant. Although prior to setting it up, nothing was said about how the bill would be paid. When planning a date to get together, is anyone’s fault for not bringing up how the meal would be paid? In the West, the traditional way to handle a bill on a romantic date has been the one who invited the other (traditionally, nearly always the man) takes the bill and the invitee may not even know the actual price of the meal. “In the late 1960s and 1970s, the women's movement subscribed to the idea that there should be equality of the sexes, not just legally, but socially and sexually. They were rejecting traditional gender role assumptions that men should make more money and should pay for affections through dinners and the rest of costs of dates. In this way, women were making an equal investment in the cost of courtship”. It became more common for women to pay their own way, or to pay for men's meals. Some women were offended if their male dining partner "grabbed the check". Since the 1990s, mores, particularly in the US, have reverted to past customs. Ironically the majority of women still see the value of this 'tradition' for the man to pay for meals in relationships. Even though in heterosexual dating today progressive women prefer or are open to paying for their own meal on a first day, in the LGBT community dating gets muddled. In completing the above true scenario at the beginning of this article, the bill had come. I asked the guy how would he like us to handle the bill. In return, he asked me how would I like to handle the bill. I said “Let’s go Dutch if that’s okay with you?”. He says back to me “If that’s what you want” and I said “Yes, that's what I want”. The “issue” closed with him pulling out crumpled dollars and change from his pocket to pay for his meal and me paying for mine and the tip. In learning about my “date” throughout the meal I diplomatically told him I didn’t plan to see him again and he cursed me out, saying I thought I was better than he. The -was me not haven't paid for his meal. Contact our LGBT entertainment center to learn more about our venue and events. 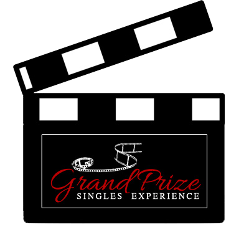 We look forward to being your stop when you are looking for fun in Atlanta, Georgia.